Improving the safety and accuracy of gene editing is the aim of seven research teams that have won a combined $65 million over four years through the Safe Genes program of the U.S. Defense Advanced Research Projects Agency (DARPA). Safe Genes is designed to gain fundamental understanding of how gene-editing technologies function; devise means to safely, responsibly, and predictably harness them for beneficial ends; and address potential health and security concerns related to their accidental or intentional misuse. Efforts funded under the Safe Genes program, according to DARPA, fall into two broad categories: gene drive and genetic remediation technologies, and in vivo therapeutic applications of gene editors in mammals. Create a capability to eliminate unwanted engineered genes from systems and restore them to genetic baseline states. Among funding winners is a University of California (UC) Berkeley research team led by Jennifer Doudna, Ph.D., which will investigate the development of novel, safe gene-editing tools for use as antiviral agents in animal models, targeting the Zika and Ebola viruses. The Doudna-led team will also aim to identify anti-CRISPR proteins capable of inhibiting unwanted genome-editing activity, while developing novel strategies for delivery of genome editors and inhibitors, DARPA said. Dr. Doudna and UC Berkeley have been at the center of the legal dispute over who invented CRISPR (clustered regularly interspaced short palindromic repeats) gene-editing technology. In February, a three-judge panel of the Patent Trial and Appeal Board (PTAB) ruled that there was “no interference in fact” between a patent application by Dr. Doudna and Emmanuelle Charpentier, Ph.D., a director at the Max-Planck Institute in Berlin, and 12 U.S. patents related to CRISPR technology that list as inventor a researcher based at the Broad Institute of MIT and Harvard, Feng Zhang, Ph.D.
UC Berkeley, Dr. Charpentier, and other parties are appealing the PTAB decision. A Harvard Medical School team led by George Church, Ph.D., plans to use Safe Genes funding to develop systems to safeguard genomes by detecting, preventing, and ultimately reversing mutations that may arise from exposure to radiation. The work will entail creating novel computational and molecular tools to enable the development of precise editors that can distinguish between highly similar genetic sequences. The team also plans to screen the effectiveness of natural and synthetic drugs to inhibit gene editing activity. A team led by Amit Choudhary, Ph.D., and involving the Broad Institute, Brigham and Women’s Hospital Renal Division, and Harvard Medical School will develop means to switch on and off genome editing in bacteria, mammals, and insects, including control of gene drives in a mosquito vector for malaria, Anopheles stephensi. The team seeks to build a general platform for the rapid and cost-effective identification of chemicals that will block contemporary and next-generation genome editors. The team will also construct synthetic genome editors for precision genome engineering. A Massachusetts General Hospital (MGH) team led by Keith Joung, M.D., Ph.D., plans to develop novel, highly sensitive methods to control and measure on-target genome-editing activity—while limiting and measuring off-target activity—to regulate the activity of mosquito gene drive systems over multiple generations. The MGH team hopes to enable orders of magnitude higher sensitivity than what is available with existing methods and make the process routine and scalable, DARPA said. The team will also develop novel strategies to achieve control over genome editors, including drug-regulated versions of these molecules, and use contained facilities that simulate natural environments to study how drive systems perform in mosquitoes under near-real world conditions. A Massachusetts Institute of Technology (MIT) team led by Kevin Esvelt, Ph.D., plans to pursue modular “daisy drive” platforms that hold potential to safely, efficiently, and reversibly edit local subpopulations of organisms within a geographic region of interest. With most of its work to be conducted in nematodes, the MIT team aims to adapt this system in the laboratory for up to three key mosquito species relevant to human and animal health, gradually improving performance in mosquitos. A North Carolina State University (NCSU) team led by John Godwin, Ph.D., aims to develop and test a mammalian gene drive system in rodents. The work is designed to expand available tools for managing invasive species that threaten biodiversity and human food security and that serve as potential reservoirs of infectious diseases. The team also plans to develop mathematical models of how drives would function in mice, then gauge the robustness, spatial limitation, and reversibility of the drives by performing testing in contained, simulated natural environments. A University of California, Riverside team led by Omar Akbari, Ph.D., seeks to develop robust and reversible gene drive systems for control of Aedes aegypti mosquito populations, to be tested in contained, simulated natural environments. Preliminary testing will be conducted in high-throughput, rapidly reproducing populations of yeast as a model system. 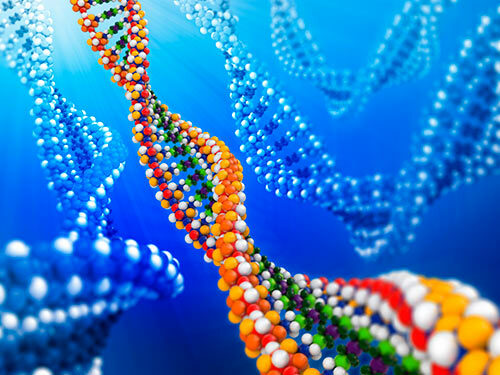 The team plans to establish new temporal and environmental, context-dependent molecular strategies programmed to limit gene editor activity, create multiple capabilities to eliminate unwanted gene drives from populations through passive or active reversal, and establish mathematical models to inform design of gene drive systems and establish criteria for remediation strategies. “Part of our challenge and commitment under Safe Genes is to make sense of the ethical implications of gene-editing technologies, understanding people’s concerns, and directing our research to proactively address them so that stakeholders are equipped with data to inform future choices,” Renee Wegrzyn, Ph.D., manager of the Safe Genes program, said in a statement.